We are quite often too hard on ourselves with what we try to accomplish in our writing time. The pressure we put on producing work right away may even be counter-productive. When you think about it, it seems crazy to expect to be able to sit down at your computer and pump out hundreds of words instantly, when seconds earlier your brain has been held hostage with family, bills, dishes or The Bachelorette. If there’s a magical button you can push which will cause the creativity to flow right away, I’m yet to find it. 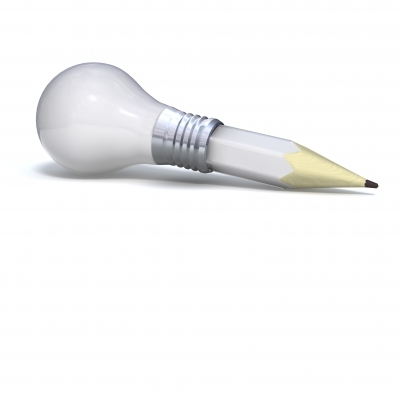 If you stopped writing mid-scene and you have latent inspiration to tap into, then great. But once the first burst of inspiration is over (for me, around 30,000 words into it), we need to be intentional with allowing the muse time to give us the next steps. You're serious about your writing, right? Well, then take it seriously. Don’t write in front of the television, or with one eye on Twitter. This craft demands both your creativity and technical skills, and it deserves your full attention. In my case, it needs my full attention, or it simple won’t get done. My muse is a jealous beast. It wants every cell of my brainpower, so I need to spend time emptying my mind of distractions. The rewards are insights, plot problems solved, and magical phrases or dialogue (mostly while I’m about to fall asleep, of course). The other night I did what I usually do – I took care of the essentials (eating, chores, talking to humans etc) and the not-so-essential (emails, social media) with the definitely-not-essential (television) running in the background. When I finally turned my attention to writing, I knew I had problems to solve. While it may seem counter-intuitive, I shut my computer. Instead, I read over all of my scene cards a few times, thinking of specific problems with each pass (my heroine’s character arc, the romantic development, the antagonist’s role). Already my mind started to churn. Then I flopped onto the couch, feeling the wheels slowly gain momentum. A new scene popped into my head, which will advance all three of the problems. I typed up a few notes, and then a few more as more snippets and solutions fell into my head. And then I did the ultimate muse-loving activity: I had a shower. I don’t know what it is about standing in a stream of hot water and lathering up – but it sure does get my mind humming. It’s a race to finish up in there, get dried and get to the computer before I forgot everything I need to type up. In this instance I had five separate ideas come to me, all marvellous of course. When I actually type up the scenes, dialogue or a character's internal musings they never seem to be as brilliant as when I was in the cubicle – why is that? But at least I have something to work on later. And anything is better than a blank page, right? My muse delivered 1,000 words over the following 48 hours, which isn’t that prolific I’ll admit… but I’m at the business end of this first draft, and many of those words need to be expanded into proper scenes. I actually feel as if I have most of the puzzle pieces in place. I’m sure more pieces will come out of the woodwork as I progress through second and third drafts, but for now I’m starting to feel as if I have a complete story, and it’s something I can only owe to giving the muse the undivided attention it craves. I think the thing is to tell your muse what it needs to uncover or deliver. If we go for a walk or start folding the washing with just a general idea to dream about our book, we may end up with greatness… or we may just end up fantasising about our hero for half an hour without discovering more about what makes him tick or, more importantly, the things he needs to accomplish and how he should interact with the other characters. Before you purposefully give your muse your 100% attention, give it instructions. Think about specific parts of your story that aren’t working, or a specific character who needs a backstory (or any story!). Or, think about your plot structure as a whole and ask your muse to fill in the gaps or figure out how to make the climax more intense. Perhaps you should do some research, and then ponder on how a certain fact can become a plot twist. You get the idea. Be specific with what you need, and let your subconscious do the work. More often than not, your imagination will be enough of a resource to give you the answers you need. Just relax, have a goal in mind, and give your muse free rein. It might not come right away, perhaps not during that session, but the next time you give your muse the lion-share of your brain cells, it might surprise you with the answer. How do you encourage your muse to show up? Do you have problems refraining from multi-tasking?